To add new tasks to a job, select the job in either List view or Map view. A basic task is a one-off task. You can fill in the task details directly in the Item, Qty, and Unit Charge columns. 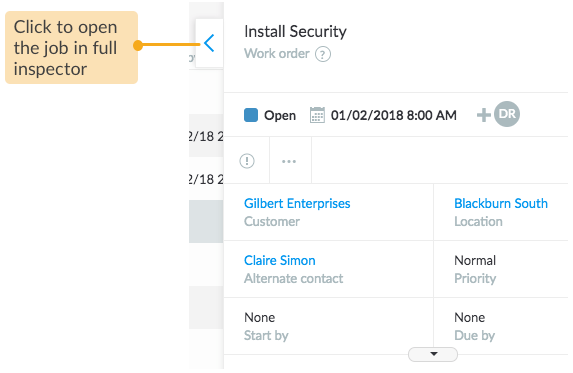 As a prerequisite, the asset on which this task will be performed must already exist in Loc8 so that you can select the asset in the Assetcolumn. 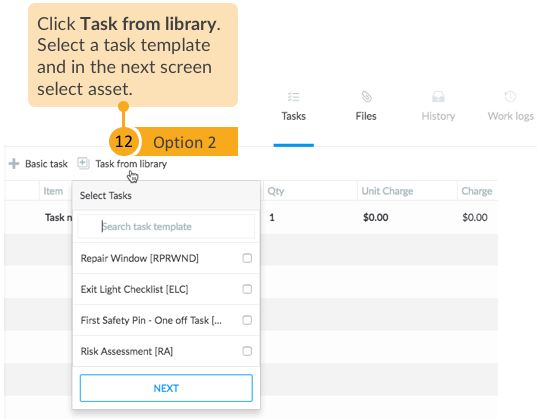 You can access task templates when the job is to be performed at a site already added in Loc8. 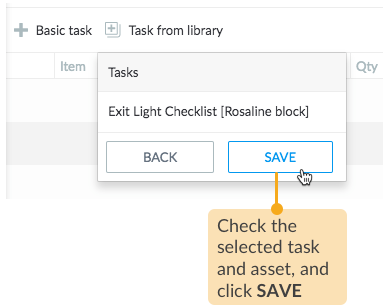 As a prerequisite, the assets and tasks must already exist in Loc8 so that you can simply select them right when you click Task from library, and the rest of the details will automatically fill up for you as defined in the task template.